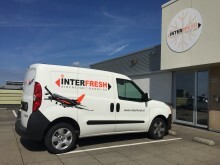 Following on from yesterday’s announcement regarding Panalpina’s acquisition in the Netherlands, the international freight forwarding and logistics company is now also expanding its Perishables Network into Germany. Panalpina has entered into an agreement with the Cool Chain Group, Germany (CCG), taking over business and a team that is specialized in international air freight and the import of perishables. The deal will further strengthen the Panalpina Perishables Network in Europe and the company’s global end-to-end offering for fresh produce. Rungis Express, the parent company of CCG, and Panalpina have agreed to the business takeover on September 28, 2017. 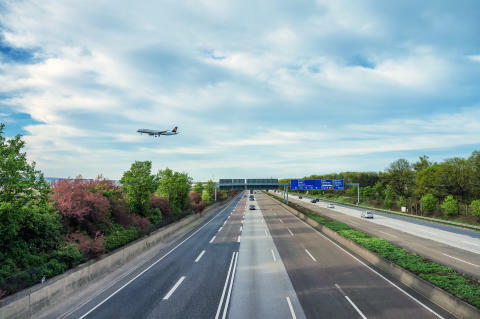 As part of this deal, Panalpina in Germany will take over an experienced team of employees and a flourishing perishables business stemming from well over 100 customers and representing around 14’000 tons of air freight per year. “Our recent acquisitions in the perishables market have concentrated on the export side, but we also want to increase our footprint in key import markets and build our end-to-end perishables capabilities at major gateways such as Frankfurt and, as demonstrated yesterday, Amsterdam. These latest developments are further important steps towards offering complete end-to-end solutions on a global scale as we continue to expand our Perishables Network,” explains Stefan Karlen, CEO of Panalpina. Rungis Express, in a strategic move to focus on their core business of overland distribution and the wholesale of gourmet products, has decided to shift away from international freight forwarding activities. “Over the years, we have built a very knowledgeable team that specializes in international air freight and the import of perishables such as fresh cut flowers, beans, fish, frozen sea food and mangoes, mostly from Africa and Latin America. However, we want to refocus on our key capabilities and are convinced that these specialists and the customers they serve will be in better hands with Panalpina,” says Kai Schneider, managing director of Rungis Express. 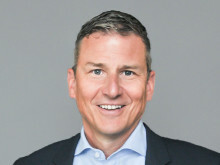 The former managing director of CCG, Markus Kampa, will lead the entire team and further develop the business as Panalpina’s new country head of Perishables Germany. Panalpina will additionally have access to cold storage space within CCG’s temperature-controlled transit warehouse in Kelsterbach, close to Frankfurt Airport and one of Europe’s most important import hubs for perishables. 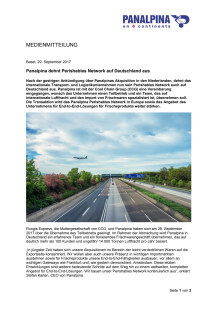 Furthermore, Panalpina will continue to benefit from CCG’s well-established overland distribution network and cool chain capabilities in Germany and many neighboring countries. “We are very happy to welcome the new perishables experts in Germany. We are bringing an experienced team on board that will greatly help to develop perishables end-to-end services for Germany and the neighboring countries of Switzerland, Austria, Poland and Czechia,” comments Dominik Wiesler, Panalpina’s managing director for Germany. The worldwide transport of perishables constitutes a huge market where Panalpina is aiming to become the leader. By 2020 the company, under the umbrella of the Panalpina Perishables Network, aims to be the preferred global supplier of perishables logistics, offering customers in both origin and destination countries complete end-to-end solutions on a global scale. The success factors for this accelerated and concentrated push into perishables are the company’s global coverage, dedicated perishables experts in key markets, and the unique Panalpina Charter Network. The company’s perishables activities originated in Latin America and were then extended to Europe and Africa. The Panalpina Perishables Network will span 15 key countries at first, with a clear plan to double the network to cover all regions. RUNGIS express PLC with headquarters in Meckenheim near Bonn is one of the biggest German trading companies for high-quality fresh foodstuffs. For 30 years, the company has represented a known brand in the high-class gastronomy sector, and since April 2016 it belongs to the METRO AG. The company offers a broad spectrum of more than 12 000 products from all corners of the world that are available on a daily basis. As part of the Metro Group, CCG stands for seminal, individual solutions in the areas of international logistics, transportation and handling of sensitive goods. We offer our customers temperature-controlled, reliable and tailored logistics solutions with fully controlled cool chains for different temperature zones – from ice cold -25 to well-tempered +25 degrees. We are experts for logistics and freshness – be it for flowers, plants, foodstuffs or fish.